If there is one technique that has helped me more than anything to be a better writer and it is this: learning how to storyboard. When stories veer off course, it can kill otherwise great tales. I know, this happened to me after finishing an entire manuscript. I had to deconstruct it and start over. Do you know how time consuming and frustrating that was? But boy, what an education. This technique will help you avoid that pain and feel confident in how to start and end your story, which big moments to highlight and where to cut. I can’t wait for you to try it, and see how this storyboarding process sparks creativity. It is exhilarating. Triggers electric currents of creativity. Helps you know what to look for in a true-life tale (or fiction, of course). It becomes intuitive with practice. Guides editing to flesh out key moments and trim the boring parts. 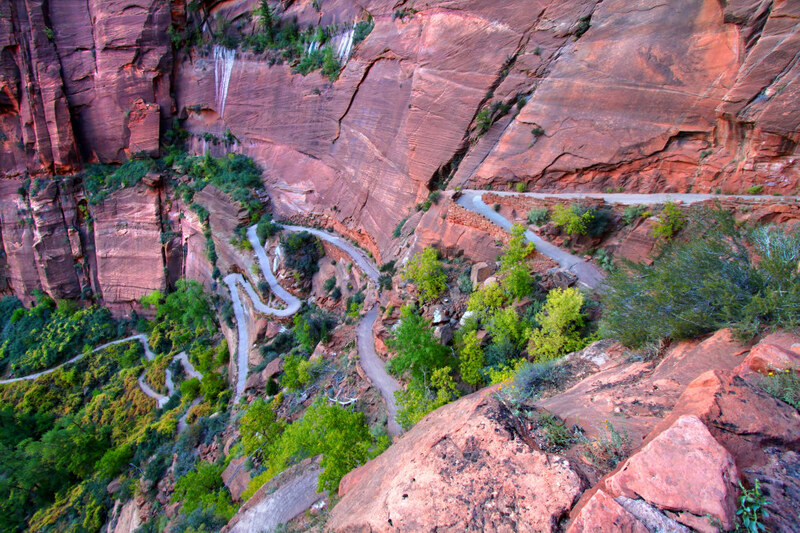 Acts as a map, keeping your story from veering off course. Gets you unstuck, especially in knowing where to start and end the story. Gives you confidence your story will satisfy. As an overview, I am giving my template printable free to our subscribers. Toward the bottom of this article is a summarized explanation for how to storyboard using my template and there is a form to fill out so I can email the template to you. You can also order a combo pack of beautiful pre-printed posters on Amazon and short companion book, How to Storyboard, beyond the scope of a short article. I hope you find these resources helpful! Here is a link to get storyboard posters on Amazon too. And here is a link to get a combo pack with the booklet and the posters. My storyboard template is adapted from a Hollywood screenwriting “beat sheet” and refined for other types of writing. It has taken 10 years of playing with different versions to get it to this point. First, it started on a whole wall, then I used 3 x 5 cards and push pins. For the next few years I carried my storyboards around in a sketch book using small square sticky notes. That method was the winner for portability and how easy it is to edit. Finally, I created a pretty template with a reminder of what happens in different parts of the story and I love the simplicity of this board with 3 acts and 12 elegant beats. The structure sparks ideas to hit emotional notes, giving the story a strong spine. It is easy to swap out sticky notes and use the same board for years at a time if you are writing a full book. The beauty is it works just as well to draft a quick sketch of a 2-minute video. In other words, the technique is flexible enough for short stories, scripts and full books. I use this method on my own projects every week, and have taught clients how to storyboard in coaching sessions with it. It really works! Actual storyboard for my first book that I spread on my floor for months. My template is now simple and elegant, but it started like this. Before I get into the nuts and bolts of how to storyboard (scroll down if you want to get straight to the “how-to” explanation), I want to share how I ended up here the hard way. The time consuming way. May you be blessed in your own writing so your books never require complete dismemberment and Frankenstein editing to bring them back to life. Here is how my journey went down. A year after starting on my parents’ life history, it had become a full-length book replete with what I thought were wonderful life lessons. I felt pleased as punch to hold the weight of a manuscript in my hands. That is, pleased until I let it rest, then re-read it, and solicited feedback from my writing group. The truth made me want to crawl under my blankets and never come out. I had written a boring, preachy book. It was organized into chapters by theme with stories to support the point I wanted to make, or more accurately, the point I was beating the reader over the head with. I am forever grateful that my writing group did not give up on me or my book in that dark hour. They said, “There is a story in here; keep working on it.” Next, they directed me to the discipline of how Hollywood screenwriters map out movies, storyboarding. Finally, I think they felt sorry for me and offered a weekend writing getaway to restore my spirits. As we hung out and talked about writing, the answer smacked some sense into me: It’s a story, stupid. The next day, they left the hotel for a sightseeing excursion and I ventured to an office supply store to buy colored paper, sticky notes, and tape. I felt jazzed because hey, spending money on supplies makes me feel productive, without doing any real work, ha. Then, back at the Little America hotel in Salt Lake City, I began cutting up my manuscript with scissors and piecing scenes into chronological order. That demoralized feeling left me, replaced by the electric current of creativity. I felt exhilarated to delve in, even with how much work lay ahead. 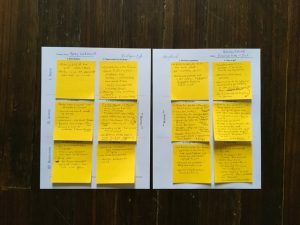 Over the coming weeks, I used one sheet of card stock to represent each chapter, and arranged sticky notes as placeholders for shorter vignettes within those chapters. I spread this improvised storyboard across my living room floor where it remained for several months. (Did I mention I was single at the time?) During this time, I nursed my manuscript back to health. My manuscript transformed from an annoying litany of lessons to a true-life story that read like a novel. It was in my mother’s voice and my parents became heroes in an epic love story. It might not make any bestseller lists, but it was engaging enough for my teenage nieces and nephews to read all the way through, and that meant the world to me. Over the next few years, I read everything I could get my hands on about elements of storytelling. These were practical tools I had never heard of before and the learning curve felt thrilling. Then, as I began writing other people’s stories, I experimented with variations on the Hollywood method which did not feel quite right for the kind of writing I do. Screenwriters might take up a whole wall, and many favor 3 x 5 cards. I tried all that, but I longed to have it close at hand for the many times I am working out of the office. I dabbled with electronic outlines that should work brilliantly in theory, but never triggered the same creativity in practice. I tried a posterboard that I could roll up when not in use. I hated that version and never used it. The really, really best part was discovering that this storyboard template works for every story, and that each time I begin, I get those same ecstatic feelings of creativity that prickle the hairs on my arms. This holds whether I’m working by myself or am working through it with a client in a coaching session. I can see their eyes gleam as their own story takes shape. It feels wonderfully satisfying to watch how excited they are to get to work after the session ends. It feels like a breakthrough, every time. It might seem that when writing true stories, the formula would not work since we are not making up the details. In other words, we don’t have the convenience of making the story conform to the template like Hollywood screenwriters can do. But it does work without forcing it and here is my theory as to why. First, I have come to believe that tried-and-true storylines simply mirror patterns that play out again and again in real life. Our brains are wired to respond to the cadence of stories we recognize in the people we know, we gravitate to stories that ring true to lived experience. In other words, the template is a reflection of life, not the other way around. Once you know what to look for, it is an exhilarating feeling to see that your own true stories naturally hit all at the right beats, in all the right places. You tell the truth without embellishment and still hit emotional notes that satisfy readers. Hey look! The elements are all right here, naturally…And here…and here. At least, that has been my experience. Related: Is truth better than fiction? What also happens is that the storyboard helps memoir and biography writers know what to emphasize and what to cut. In short, telling a gripping story is not a matter of fictionalizing what happened, but a matter of trimming the fat. Also, we have found in our oral history work that when we learn the beats, we intuitively begin asking better interview questions that draw out compelling moments in a person’s life. Modifying the template from Hollywood to true stories did require simplifying and changing terminology. I quickly learned that I needed to make it more straightforward so beginners can use it, but still robust enough for complex stories and full books. So, now the template is clean, using “beats” that have names that make intuitive sense. Actual storyboard for book I am writing now. 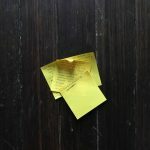 This shows how I use it with sticky notes. The template breaks the story into three acts—think of it as beginning, middle and end. Then there are 12 key “beats.” (Note: I’ve commandeered the Hollywood term “beats” to mean something similar but I don’t use it in the same technical way that artists draw a storyboard). These 12 beats work for short stories and full books alike. In a full book, a “beat” might run for an entire chapter or more, containing multiple scenes. In a short story a beat might simply be an emotional note that we can hit in a single paragraph. Finally, each beat has a name that makes it easy to remember. The final template is two standard sheets of paper that fit together. This is the same size I have been using for years and it gives enough room to work without sacrificing portability. I like printing the template on card stock so it has weight. Card stock holds up to use, and the tactile feel is nice. Print it with the text showing to remind you what the beat should be. Then, put a sticky note over each square and write on the notes. This is how I do it. To me, it’s important to iterate multiple rounds of edits on individual beats without having to erase or start over on the whole template. I have worked from the same storyboard for years at a time and this makes it slick to edit and update. Before delving further into how to storyboard, there is something I always tell my students. Don’t worry about it! I will often write a first draft in free-form style before storyboarding and just let the story surprise me. I think of creativity as a discovery process and not something to force. Sometimes if I am making a video script I will storyboard it right from the beginning, but with other stories I might write a full draft before using the storyboard. This process then pinpoints weak spots or places where I meander. Also, don’t think you have to be rigid about what goes where. Sometimes beats will be shorter or longer, or maybe missing altogether. Maybe they are out of order or will overlap. This is a guide and it’s meant to spark your creativity and be fun, not construct you. In other words, there is a time to let ‘er rip in your writing, and there is a time to analyze. The storyboard is for analysis. Okay, let’s get into the beats. 3. We have a problem. Bam! Something happens and protagonist must change or die. Every tale needs a central conflict or tangible goal. 7. Big trouble. Our hero’s flaws are in full bloom. Dubious plans backfire. Relationships splinter. The bad guys pounce. We sense mortality when someone dies. Fear. Please fill out the form above and I will be happy to email you the storyboard template for free. Thank you for subscribing! We email quick tips & inspiration on how to tell your story every-other-week. Okay, I know that is a very high level overview for how to storyboard. 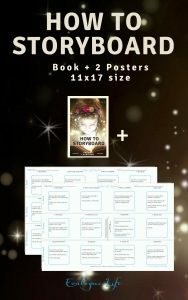 My book and template, “How to Storyboard,” includes more explanation. You can order it by clicking here. In the meantime, if you are serious about your writing, I recommend reading Save the Cat, by Blake Snyder. This is the book that originally introduced me to screenwriter’s beat sheets and it is a wonderful resource. Rhonda Lauritzen is the founder and an author at Evalogue.Life – Tell Your Story. Rhonda lives to hear and write about people’s lives, especially the uncanny moments. She and her husband Milan restored an old Victorian in Ogden and work together, weaving family and business together. Check out her latest book Remember When, the inspiring Norma and Jim Kier story. I would love to try an electronic template. I am forever erasing and rewriting. It would be easy to move notes around and add to them with cut and paste. Ruth, terrific! I will email it to you, and then welcome feedback on how it works for you. I’ve been following some research that says the brain seems to process information differently using a pen and paper vs. when we type notes, so I am very curious if the fillable PDF sparks the same creativity in you. There is definitely a case for efficiency too, which is why we type directly in the computer now rather than writing longhand on lined paper. Looks like a lot of work. But I can see how you made it easy too. Thank you for sharing your ideas after going through all the trial and error yourself. Elizabeth, it makes my heart happy when that learning curve can help somebody else! I guess it feels good to repay the generosity that other people gave me when I was first starting out. Thanks for your kind comment. thank you for this post! my significant other is attempting his first novel and this information is so helpful! Lacey, I really hope the method helps him. 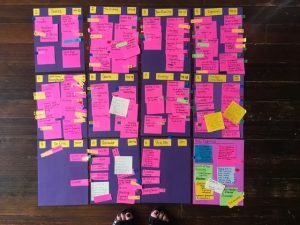 It made a world of difference for me, and lately it has been a blast helping novelists storyboard their books. Best wishes to him! It’s a worthy pursuit, writing a first book. Awesome ideas, definitely gonna try. This looks like a lot of fun. Love writing stories, I think I would love writing family history stories. Your article is great and makes it look simple. Brenda, it IS fun! That feeling of excitement when mapping a personal story is hard to beat. I hope the template helps spark your own creativity. And yes, you would love writing family stories but fair warning, it can be addicting. You just never know when and how one of those stories will tug at you for attention. Best wishes. Thanks for your comment. 1st thought: I have a mind chuck full of memories but I don’t want to bite off more than I can chew. Will using a storyboard control that? 2nd thought: I like being able to cut & paste on the computer but sometimes I can’t stop. 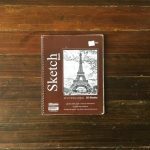 Is it possible to use paper, pencil, & computer? It’s late & I’m so tired that I’ve forgotten my 3rd thought. Is there still hope? Nancy, I totally get it! Well, I like to think a storyboard is the solution to everything, ha. My advice is to jot down quick reminders for as many of those memories as you possibly can. Sit down, and just write fast and furious, making a list of every memory that comes to mind you want to write about. Keep an ongoing list and add to it whenever another one comes to mind. That way, you have a placeholder for it all. Then, focus on one moment at a time. Start with one vivid memory that is tugging at your heart and write about that. The storyboard will help you tell each vignette/story in a way that is compelling for readers and is fun to write. When you have finished with that one, go on to the next and the next and the next. At some point, if you want to write a full book, you can string them together in an over-arching narrative using the storyboard. But you’ll get too overwhelmed if you start with the idea of the big picture. Start with individual stories first because that’s what people want to read and that’s where the life is. By the way, I am considering making a PDF template but haven’t done so yet. I have doubts about whether it will spark the creativity so for now, I urge you to give the storyboard a try using sticky notes. Did I use too many spaces?